Not tried it but was there last week and told tickets cost Â£2 for 4 hours connection. Having just returned from a week afloat, the only place I managed to connect my iPod Touch to WiFi was McDonalds in Lowestoft. Even then I was able to read my business emails but not send replies. 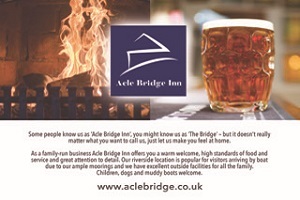 I tried at the Bridge Inn, Acle, and was unable to get a connection even though the landlady kindly provided the network name and password. I also tried at the New Inn, horning, and could have connected okay. Unfortunatley the service is provided by "The Cloud" which charges Â£2.99 for 30 minutes, which is extortionate in my book! 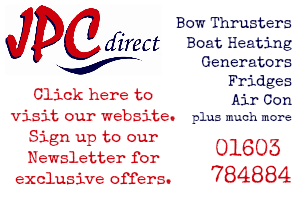 We've got wifi in the Pleasure Boat at Hickling and all down the moorings outside. Tickets available at the bar - we've priced it at Â£2 for 4 hours but that will probably change.. It was our first stab at it..
We moored overnight at the WRC a couple of Fridays ago, had a nice chat with James. The WiFi, although not fast, was acceptable. My daughter Alice had her Vodafone dongley thingy, so we were both able to go online together. The rest of the week I had to nick the dongle while she wasn't looking. There were a couple of places we found unsecured WiFi, which we could easily have been used, however, as thats theft, we didn't. Why on earth do people have unsecured WiFi??? Steve, if that was you who helped me remove Pacific Emerald from James Quay decking, then "god bless you gov"
Mark hows the list going ? One to add to your list .The Grovelands Hotel is free access .It is just a short walk down from Thorpe Gardens moorings or the ones in the small cut at Thorpe (cant remember the name )and does the best value carvery in Norwich IMHO Â£3-50 Sweet Â£1-50 in nice surroundings .Mark is yours an I Pod Touch or phone I noticed that you said in one post you recieved but could not send E mails from the Wi Fi spots ? (Mc Donalds ) I tried my Grand Daughters I Pod Touch sent some e mails home but never recieved them .Great for checking on the forum etc so are thinking of getting one for when we are out and about.Any one else got one ? PS mark did you get the e mail I sent you in the week ? Mark is yours an I Pod Touch or phone I noticed that you said in one post you recieved but could not send E mails from the Wi Fi spots ? (Mc Donalds ) I tried my Grand Daughters I Pod Touch sent some e mails home but never recieved them .Great for checking on the forum etc so are thinking of getting one for when we are out and about. The lists has stagnated a little I'm afraid. 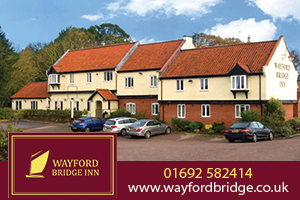 It seems the WiFi hotspots aren't that prolific yet .Even those that are advertised (like the Bridge Inn at Acle) don;t seem to be very reliable. I've got an iPod Touch. When in McDonalds usinhg their The Cloud network I can't send emails for some reason. PS mark did you get the e mail I sent you in the week ? No Roy, I'm afraid I didn't. I'll pm you another one to try if you like. I think wi-fi for free is a good selling point for any business located near the water. but if a charge has to be made Â£2 for four hours sounds reasonable to me. Â£2.99 for 30 mins ?? i wouldn't pay that either. 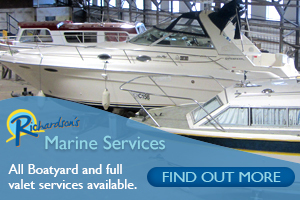 Hi all, All i take on a boating holiday are my wife and fishing gear. Each to their own and all that, but it`s a sad state of affairs when a truly stunning mooring gets ignored because there`s no wi-fi. But then, that just leaves it for me, so on the other hand keep bringing your laptops, and i`l keep on fishing at non wi-fi hotspots. . Merry Cristmas and regards to one and all..................... Neil . Hi Neil, I'd agree with you completely, if it wasn't for being self-employed. If there were more hotspots, there'd be no reason why I couldn't spend the whole of my kids' six weeks holidays with them on the boat! From the photos on the Ferry Inn, Horning thread they will be offering free wi-fi access (according to the board below the Ferry Inn pub sign). Martin,just looked on this site which confirms Free Wifi ,will give it a try when it opens next week. I've just gone over to btinternet.com and can now use their free wi-fi in over 2 million hotspots country wide using Fon and Openzone! It's NOT theft! For those with BT Broadband, if you join Bt Fon there are hundreds of free hotsposts all over Broadland, see here. I have been with Bt for 18 months and the first thing I did was set up my home broadband as a bt openzone this entitles me to use other bt openzones which is a good job as my home internet is bloody useless and after 3 months of bt claiming to sort it out we have now cancelled the contract. To be fair orange home was just as useless as bt so probably down to the early Roman exchange we are connected. Roll on 4G. To back up BT we have a 3 3G wireless dongle running in the loft which I am using now. 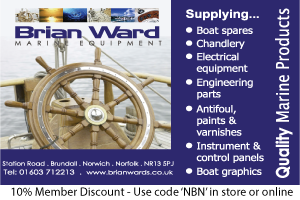 Were a local HotSpot provider, looking to support out local areas (the majority of our installs are in Wales, Cornwall, Yorkshire etc) and are looking to get WiFi coverage at many areas of the broads. It won't be free, but certainly not expensive (circa Â£1 a day, Â£10-15 per month sort of deal) with the aim that people can surf from the moorings/boats etc. Of course, if the costs of the broadband, content filtering,logging and hardware costs can be offset by sponsoring the HotSpots then the prices could drop or become free. 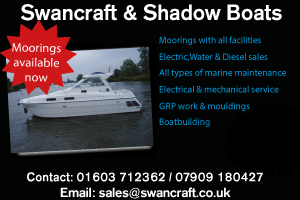 Can anyone suggest any marina's, moorings or area's on the Broads that could do with WiFi coverage, and if possible contact details. Broadland Computers in Stalham High Street ( next to the Church )have one PC you can use for internet access. Cost is Â£3 an hour. You can also log on to their WiFi - think they charge Â£5 for a week. Nice people and very helpful. 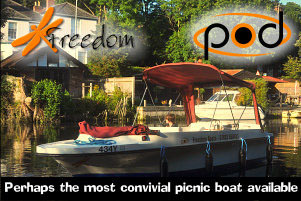 Thinking of putting Mifi on the boat - does anyone have any exeriance and if so which provider works ok on the broads. I've been using mifi on board for the past year on the Southern broads. It is on the 3 network and works very well. Topups are 15 pounds for 3gb for 3 months which are cheaper than most.